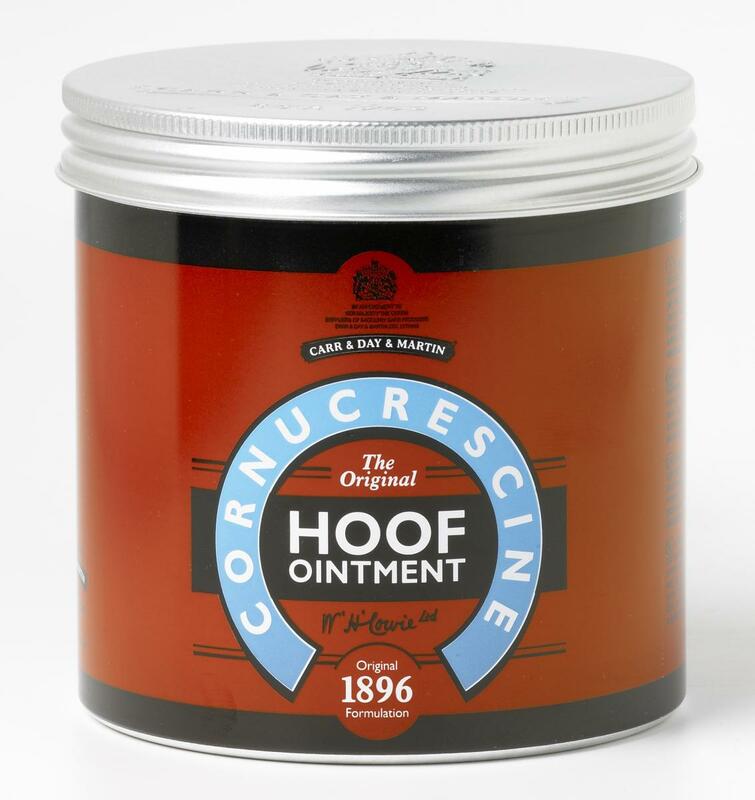 A top specification hoof ointment blending a range of specially selected active ingredients chosen for their potency and proven effects, Carr & Day & Martin Cornucrescine Daily Hoof Ointment promotes the building and maintenance of superbly strong and healthy hooves. Unique and highly effective formulation, specifically designed to encourage rapid growth especially after disease or damage to the hoof. This exceptional product can also be used as a routine daily dressing to keep hooves in peak condition. Apply regularly by hand, rubbing in well around the coronet band. Results will be visible in 4-6 weeks 450g will last for up to 12 months, with regular use. There are currently no questions for Carr & Day & Martin Cornucrescine Daily Hoof Ointment for Horses - be the first to ask one!